It is no longer news for people to complain about poor service delivery in the country’s public hospitals. Amid such loud cries, WEZZIE GAUSI has discovered that poor patients, especially those waiting for surgery, are paying for free-of-charge healthcare services in public hospitals. 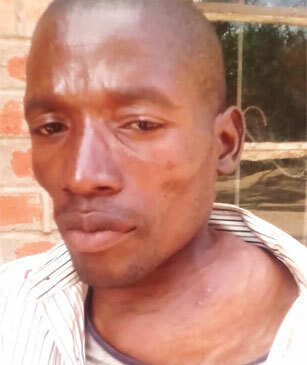 Lefias Phiri’s swollen neck and shoulder tell the story of pain and suffering. Despite this, Phiri’s dream of accessing free healthcare at Kamuzu Central Hospital, as a referral from Mchinji District Hospital, remains far-fetched. Phiri, from Dambe Village, Traditional Authority Dambe, in Mchinji District, has been waiting in vain for treatment of what started as a mere cough. All he received were pain killers for pain that is not easing down. “After discovering that my neck and shoulder were swollen, I went back to Mchinji District Hospital for further check up. Looking at my condition, I was admitted and left unattended to. I was later told to pay K20,000 in order to be referred to Kamuzu Central Hospital,” Phiri said. Being a bread-winner, he sold his goats so as to feed his family of six while in hospital. Now he is back home, probably just waiting to die. “I have nothing good to say about public hospitals. There is rampant corruption. Imagine in my state, how can I manage to get K20,000? I thought the government’s hospitals offer services free-of-charge? I am sad with this development. This clearly shows that the government misuses resources at the expense of poor people,” Phiri said. With tears in his eyes, Phiri admitted that there is nothing he can do except to wait for death. He is bedridden and survives on handouts. He is not alone in this ordeal. Other patients at Mchinji District Hospital also complained that, to access treatment, they are being forced to pay clinicians by putting K1,000 in health passports. Mchinji Health Promotions Officer, Owen Chataika, yes terday said they are investigating the matter. Recently, a similar incident happened at Mzuzu Central Hospital where Babra Mkandawire paid K10,000 for her to undergo stomach surgery. She had waited for a month before learning about this silent requirement of palm-oiling someone. “After wondering as to why I was not be attended to, I asked one of the workers at the hospital, only to be told to pay K10,000. I paid and got the help I needed,” Mkandawire said. Ministry of Health spokesperson, Joshua Malango, Thursday asked for more time before responding to the patients’ complaints. Reacting to the development, Oxfam Country Director, John Makina, said the government has failed to help poor people access healthcare services, improved healthcare and financial risk protection as stipulated in Universal Health Coverage. Makina said the government should stop being reactive but must come up with policies to enforce access to healthcare services for the poor. He said most patients are dying because they cannot afford treatment. “So, if people are paying for health services in public health facilities, it contravenes all the three principles of Universal Health Coverage. Paying for healthcare services means only those that have the financial ability would be able to access quality healthcare services, which brings about and exacerbates inequalities in society. Our 2015 and 2018 studies on inequality have indicated that inequitable access to public services such as healthcare is one of the major drivers of inequality in the country,” Makina said. He said having poor people pay for healthcare services in public hospitals makes them poorer as it means they cannot afford other essentials, thus violating the third element of Universal Health Coverage about financial risk protection. A recently released Human Development Index by United Nations Development Programme indicates that 70 percent of Malawians survive on less than $1 per day; which means they have limited and insufficient resources to satisfy basic needs such as water, food, clothing and housing. In similar incidents in some districts such as Balaka, bereaved families pay for ambulances to ferry the dead whereas at Kamuzu Central Hospital and Queen Elizabeth Central Hospital (QECH) some middlemen connive with health workers to have patients pay so as to access treatment easily. Recently, our sister paper Malawi News published a story which exposed the existence of middle men at the two central hospitals. In reaction to such reports, Malawi Health Equity Network Executive Director, George Jobe, described such incidents as serious, saying they needed to be dealt with urgently as people’s lives are at stake. “We are not sure about how long this has been happening and how many lives we have lost in the process. Now that this issue has been exposed, management of QECH and Ministry of Health should do something faster to save lives. I don’t think it could be difficult for them to investigate this,” he is quoted as saying. Reacting the same reports, QECH Chief Hospital Administrator, Themba Mhango, said it was sad that this was still happening in non-paying wards. He said patients pay by pass fees in Out Patient Department (OPD), general antenatal and post-natal ward 1A, Dental. “Charges vary for the paying services except for by pass fees, which are K2, 500. This is meant to deter primary health cases so that is why dental and antenatal clinics in outpatient departments charge,” he was quoted as saying. To solve all these challenges, some have suggested the privatisation of the hospitals while others advocate the introduction of user fees. More people want public hospitals to remain free of charge. Unless this happens quickly, people such as Phiri will continue to suffer in silence.